Get folder names from folder in action. 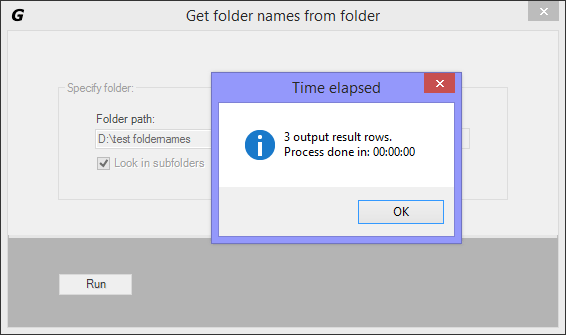 The following tutorial will show how to write folder names from folder and/or subfolders in Microsoft Excel cells. After installing make sure the GEGPRIFTI tab is showing. Go to GEGPRIFTI tab and then click "Get folder names from folder" button. 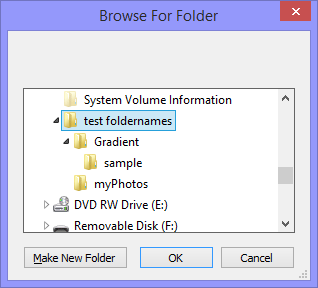 In the "Get folder names from folder" window click the "browse for folder" button. 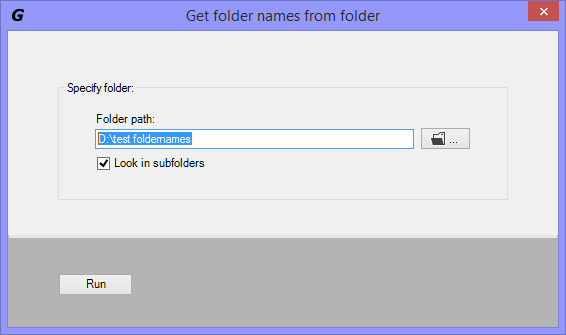 In the "browse for folder" dialog box select the folder you want to import folder names from. 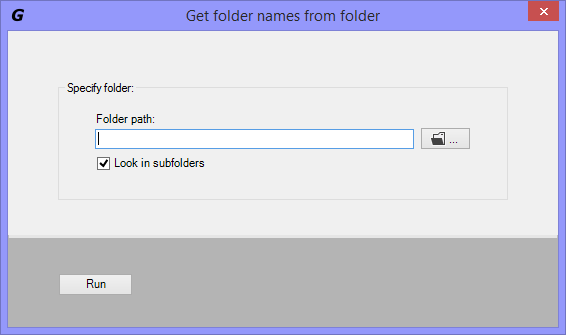 After specifying the desired folder path check the "Look in subfolders" checkbox if you want to get folder names from subfolders. Click "Run" to start importing. In the settings dialog box specify the fields you want to import and click ok. By default this dialog box is shown each time you click "Run". 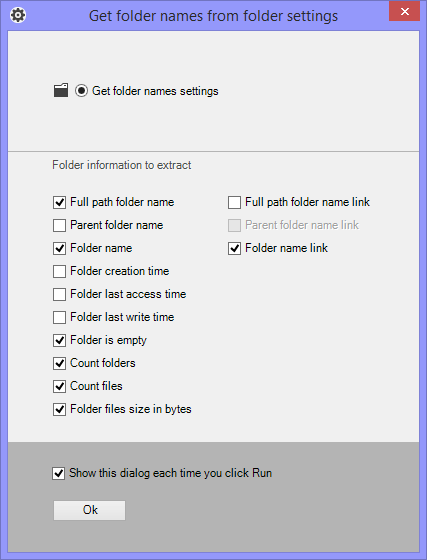 Wait a few seconds depending on the number of folders/files and resouces in your machine.